The decision to remodel our kitchen has been a topic of conversation since I moved to Chris’s house in Seguin last October. At first the kitchen size was okay and by “okay” I mean: it’s perfect for a single person living alone. When Chris bought the house three years ago, he didn’t think about the size and layout of the kitchen. In his mind, the decision making process was: “yep.It has a stove, a sink, and a refrigerator: SOLD.” Honestly, he was more concerned (and excited) about the oversized garage/shop on the property. I own a house in New Braunfels, which is now rented out. My cute little house is 900 sq feet in size and the kitchen took up 1/4th of it. 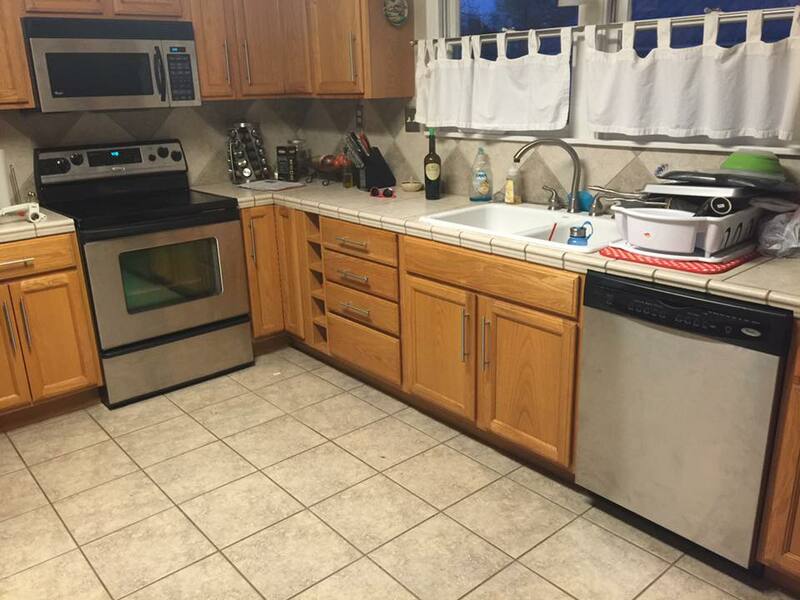 It is a nice, bright, spacious, recently updated kitchen. I could cook and move around the kitchen. I could grow and nurture various small plants in the kitchen. It easily held my kitchen tools and food. I didn’t feel suffocated in the kitchen. I loved the kitchen. Fast forward to me moving in with Chris: as I unpacked my kitchen belongings and cooked a few meals, it became very clear very soon that the kitchen was too small. By too small I don’t mean “lack of storage small” (you can get creative with storage and use other closets, utility room, furniture, storage areas etc to overcome this obstacle). By small I mean: it’s hard for two people to cook in the kitchen at the time time, one person can’t wash dishes and the other use the stove, oven, or refrigerator. Trying to walk through the kitchen to the back door?! Disaster! Think collisions, road blocks, and tons of inconvenient shuffling. 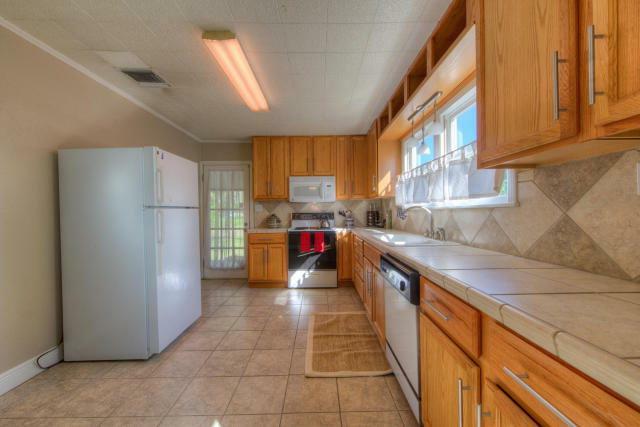 The kitchen is as wide as a door frame. Yes, a door frame. It wasn’t going to work. At first, Chris was unconcerned with my criticisms of his (our) kitchen and my ideas and thoughts about what I would do to change it. It was good enough for him. Eventually, as we grew as a couple, we discovered enjoyment in cooking together and entertaining family and friends. We love having friends and family over for happy hour and dinner. Sometimes it’s a small party of 3 or sometimes larger (we had over 50 at the house last weekend for a BBQ Cookoff). Finally he came to the realization that the kitchen for me is like the shop is for him. It is important to have our “lairs” of space within our home. Our home is small, 1300 square feet, and we each need a space to do things that we enjoy separately and as a couple. That space for me is the kitchen and soon he started warming up to the idea of a remodel. From this point there was a bit of delay until the project took its next step. We got busy with life, work, etc. The project though was still in the back of our minds and on our phones during the brief moments of free time we had over the next month or so. Soon, we were ready to move forward with the next step: budgeting, financing, bids, and contractors. Since we had an idea of what we wanted, it was very easy for us to move on with the process once time allowed.